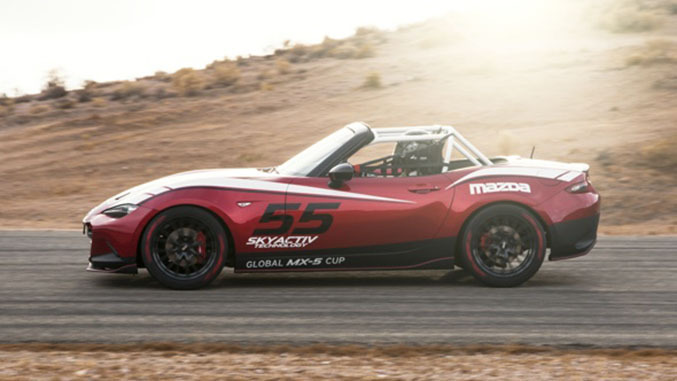 Today at the SEMA show in Las Vegas, Mazda took the wraps off the all-new fourth generation MX-5 Cup racer, along with a new global racing series that will be held in North America, Europe and Asia, all in identical spec-tuned versions of the new Miata. Mazda also revealed that the winner of the series will be awarded more than just a cash purse for their victory. The series is set to culminate at the end of the year with a Global Shootout at Mazda Raceway Laguna Seca to crown the series champion. 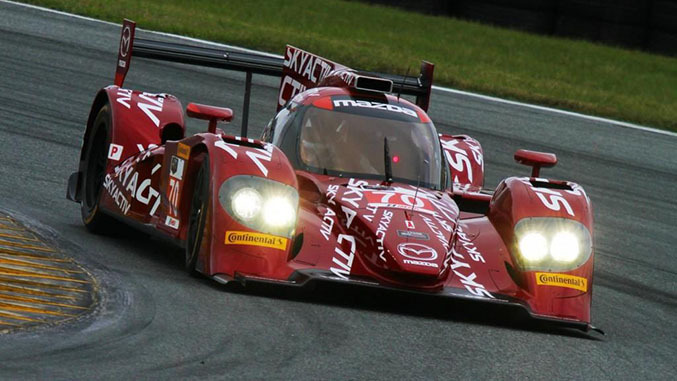 That individual will receive, along with the typical race winnings, a one-day test in Mazda’s TUDOR United SportsCar Championship prototype racer, pictured below. “We’re excited to take the elements of success of the existing Mazda MX-5 Cup series, and introduce them to a new global audience. 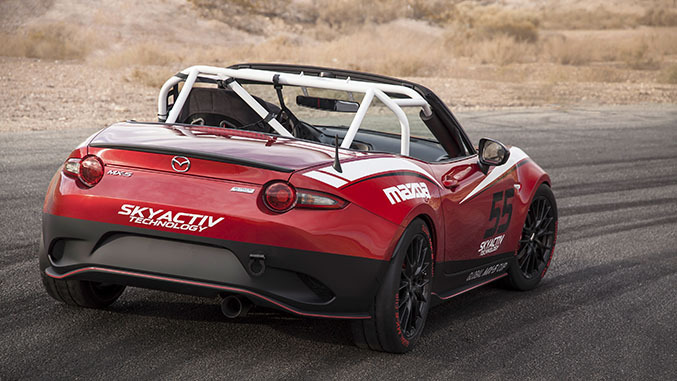 It has long been our goal to see Mazda fans around the world competing in identical MX-5s, and the launch of the 2016 MX-5 Miata is the perfect time to make this goal a reality." While final specifications for the car have not been locked down and are expected to be announced closer to when Mazda is ready to start taking orders for the spec car, we do know that the race cars will be sold as turn-key racers, sourced from a single builder, and will be powered by a 2.0-liter SKYACTIV-G four-cylinder engine. The third-generation MX-5 Cup cars will continue on for 2015 in the Battery Tender Mazda MX-5 Cup Presented by BFGoodrich Tires that kicks off at Sebring in March with a 12-race schedule. Check out the full press release from Mazda right here.